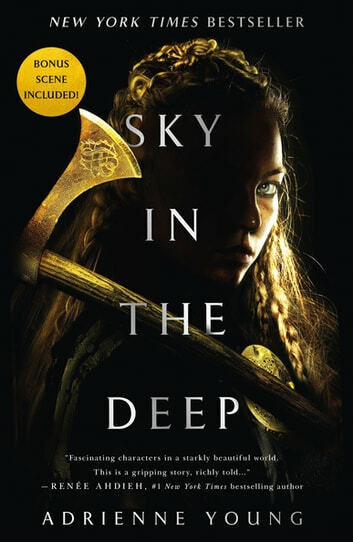 **A 2018 Most Anticipated Young Adult book from debut author Adrienne Young, Sky in the Deep is part Wonder Woman, part Vikings—and all heart. This is the first book review I have actually ever written. Which is strange because I always depend on book reviews in order to choose my next binge worthy book! And this was one of those books. I could not put this one down. I even considered calling in sick to work to finish it. Since I’ve never written one of these, I’m not quite sure what else to include without spoiling anything. I’m sure you can read some other reviews to get to know what the book was about. But I will say that you must read this book!